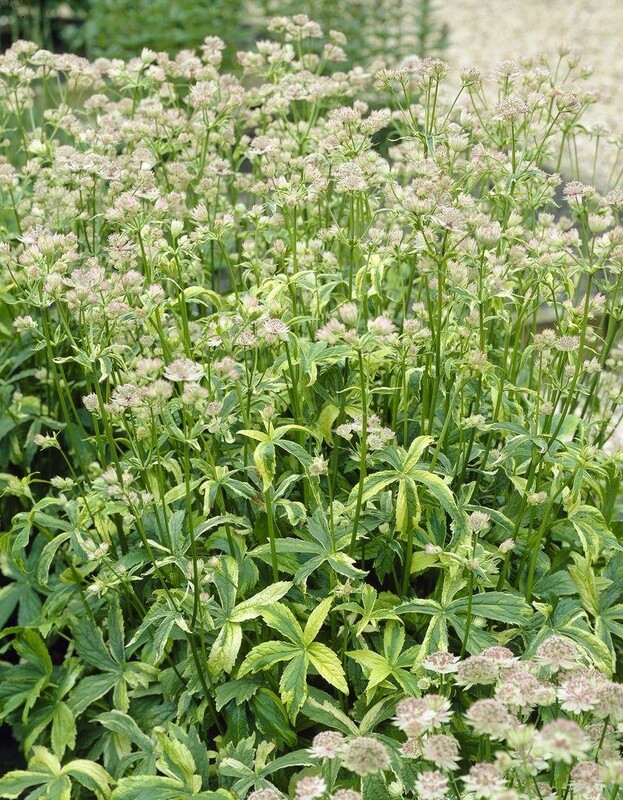 A rare form with deeply cut green foliage which is splashed wtih yellow and cream. Ivory to soft pink blooms. Foliage may become uniform green by mid-summer. Nevertheless this is a stunning, much sought-after plant. 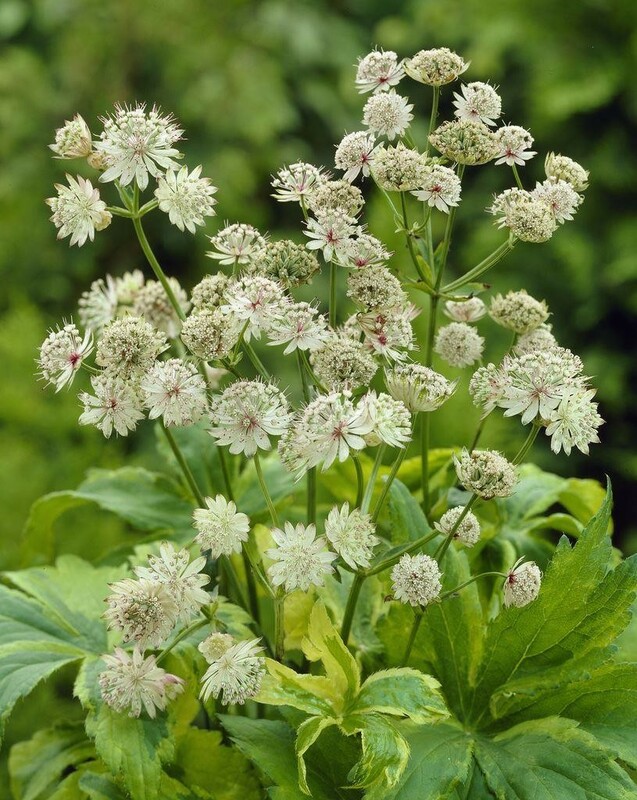 Prefers a partially shaded location and rich, moist soil. However, it will tolerate a sunnier spot. Long flowering from June to September, and also makes and excellent cut flower. Growing to 60cms (2ft) tall. Supplied in 2-3 litre containers.